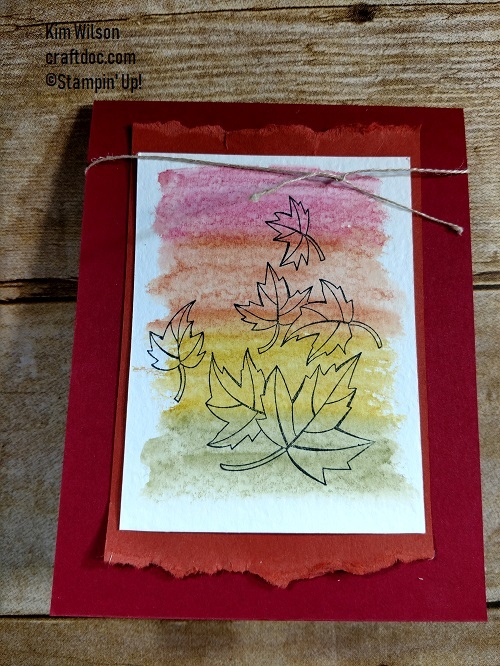 The Blended Seasons stamp set (only available in August) lends itself to many fun techniques for you to try. First I used Watercolor Pencils, Watercolor Paper and an aquapainter. It’s so nice to have Gorgeous Grape and Granny Apple Green in Watercolor Pencils – these may not come back after August either, so don’t wait to get the new set of pencils. 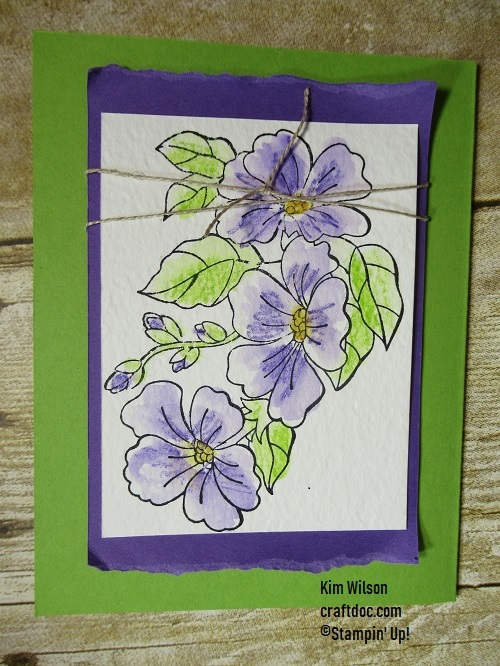 Tip: Using a lighter hand than I did, add color to the shaded portion of the petals and half of each leaf. Then blend and pull the color into the white spaces. This layout can go in either orientation too! 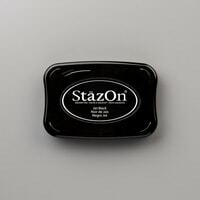 Remember to stamp in StaZon ink if you are using aquapainters to blend. Next, I tried no line watercoloring. 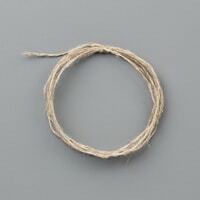 Tip: Use a light color stamped off to make subtle lines – here Sahara Sand. Pencil around the edges and shading lines before blending with an aquapainter. 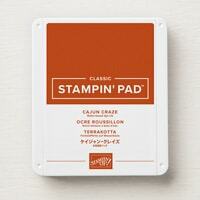 And after all that work – use your Stamparatus to stamp the sentiment to get it just right! 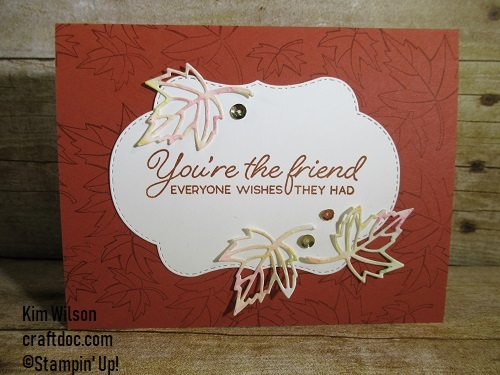 There’s a fun layout in the Holiday catalog (p. 44) that we had to try with the Blended Seasons set. Tip: Lightly pencil in the color on Watercolor Paper and then blend with an aquapainter for a nice rainbow background. Dry before stamping. Tear the top and bottom of the layering panel and add some twine. So simple. I took this idea one step further to make some watercolored die-cut leaves. 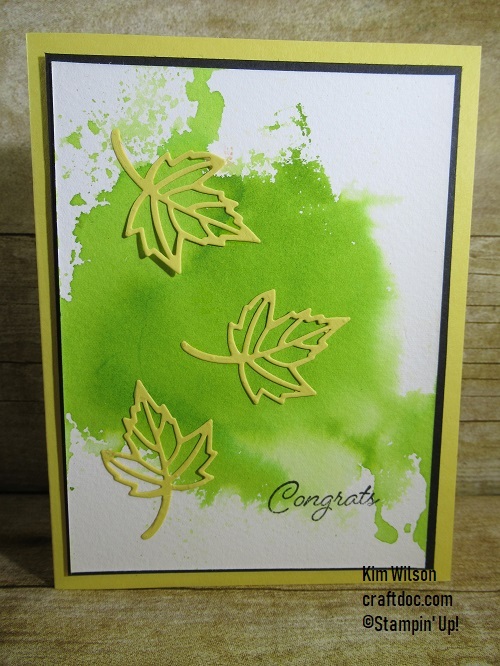 Tip: Scribble in a more irregular pattern, blend with aquapainter and then die cut leaves. Add sequins with the new Take Your Pick tool (available in September or in your demonstrator starter kit now). And last but not least, I did a variation on the smooshing technique to make this stunning background using the new color Granny Apple Green. Tip: Every card is different with this fun technique. 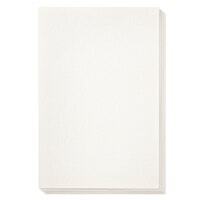 Smoosh your inkpad onto a piece of plastic. I used a clear envelope, but you can use a plastic bag, cellophane bag or whatever is handy. Spritz once with water (don’t get it too drippy). 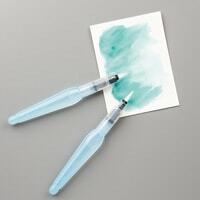 Then place your watercolor paper onto the ink, remove and dry. 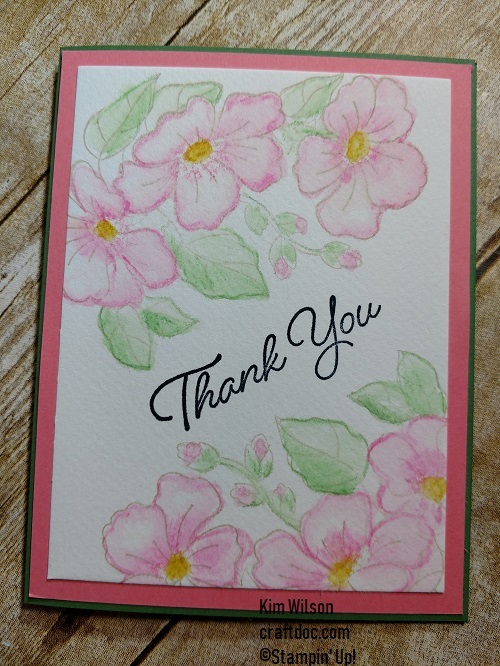 Some die cut Daffodil Delight leaves are just the right touch for this simple but dramatic card. 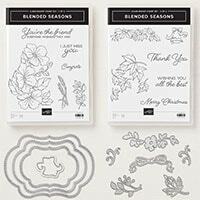 You can get the Blended Seasons stamp set and the Stitched Seasons dies (with the leaves and the cool lable framelits) separately, or together as a bundle at a 10% discount. 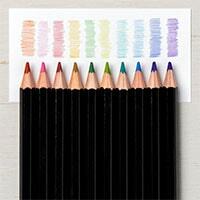 But they and the Watercolor Pencils are only available in August or while supplies last. 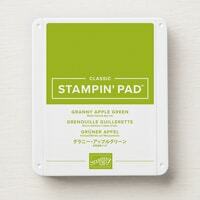 ***Don’t forget to add the Granny Apple Green ink pad to your shopping bag! (Links below).